Do you have what it takes to hold your own against Ponyville's resident Tic Tac Toe champion? I'm a flash animator, writer, and photographer. I'm not very involved in the DeviantArt community, I just use it to upload various artwork and flash. I used to be a Brony, but lost interest in the show during season 4. It felt like the quality of the writing really dropped. Characters gradually lost their flare or even became one-dimensional, as if the writers had forgotten how to write them, especially Twilight, Rarity, and Pinkie Pie. When season 4 culminated with a castle rising out of the ground so that Hasbro could sell a new castle-playset toy, that was pretty much it for me. 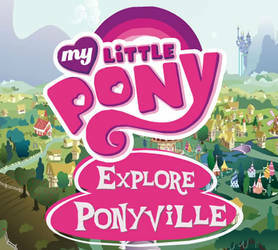 It feels like the show is no longer driven by creative and inspired minds, but rather by Hasbro's marketing department. 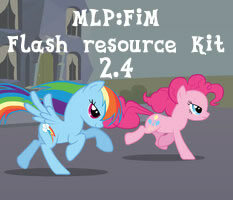 A few words about my Flash Resource Kits: The assets in my flash kits are from the official games on hubworld.com. These assets seem be the ones used in the show. 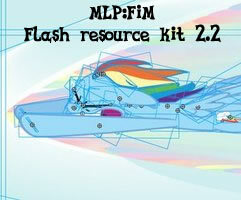 It's intended to help people build their own animations. It's also helpful as a reference, and to see how some animations from the show work. 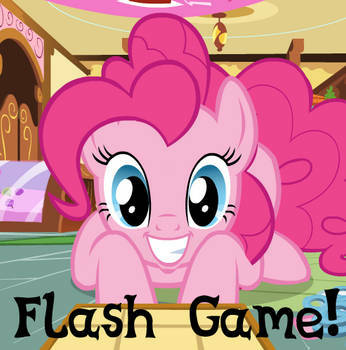 I have just uploaded a new game - Tic Tac Toe with Pinkie Pie (or Pink Tac Toe). I've had the idea for this game for a long time, but didn't get around to finishing it until recently. And by "recently", I mean I thought it would take a couple weeks, and it ended up taking 6 months. My full-time job also meant it was hard finding time to work on it. I have no further pony-related projects in the works, but I will still dabble in animation. Enjoy, and take care everypony. Hi! 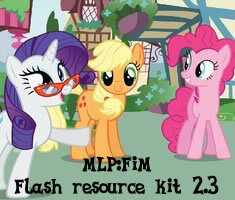 I love your MLP animation videos on Youtube! I want the people you make the most AWESOMENESS Drawings for Ever After High Ocs, so they can help me with my ocs. I just hope they will do it for me It doesn't matter how long it take to finish my ocs. It could take for days or weeks or for months too. But they will take their time of working on them. The links who own the base, and its not mine at all. I love your flash games but I wish you either made more games or did more verity with what you have made. the idea of interacting with the ponies is fun but the games them selves are too short. Man i am going to do something amazing with your "pony"